It's the countdown to the holiday weekend. Summer is in full swing and it's time to find fun, quick and easy treats. I was in the grocery store today walking down the baking supply aisle as I always do, and an ingredient caught my eye. Toasted coconut marshmallows. Stop the cart! For those of you who can't stand the thought, taste, smell or texture of coconut, you may want to pass on this one. For those who are still reading, all I can say is... these are delicious! One bag? Two bags? More? No, I'm wasn't sure what I was going to do with them, and if they were weird I didn't want too many bags hanging around. Now, what to do with them. Marshmallows.... s'mores? Maybe, but too obvious. 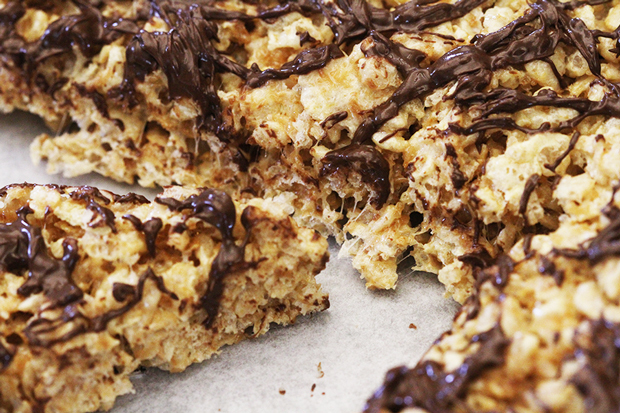 Rice Krispie bars? Curious. The idea hit. How about Special K instead of Rice Krispies? Not a huge change, but interesting. It fit the requirements. Fun, easy and as goofy as the marshmallows. The recipe is the same as making Rice Krispie Treats. Melt the butter, add the Marshmallows. 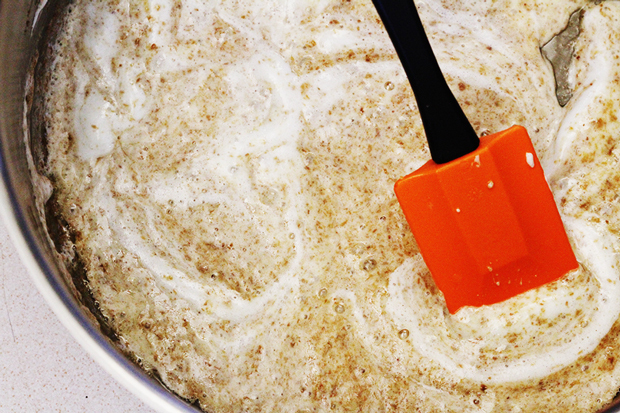 Add the cereal, mix and press into a buttered or oiled pan. I was a bit worried about the coconut scorching or burning. No problem. Just keep the heat at low/medium and you'll have no problem. I spread the mixture into an eight inch cake pan, then drizzled with melted chocolate chips. The perfect combination in my book. Chocolate and Coconut. In a large saucepan, melt the butter/margarine. It's ok if it browns just a little. Add marshmallows, stir to melt. Add the cereal. Stir to mix, crushing the cereal a bit as you stir. Spread in a buttered baking pan or small, flat dish with sides. 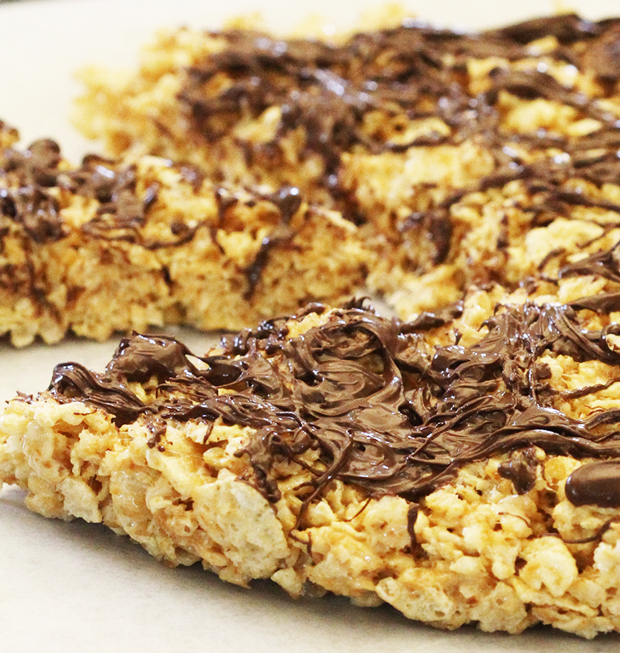 Drizzle with melted chocolate chips if desired. Cool, cut, and serve! I hope you have a Happy July 4th! Wave a flag, thank a fireman, be safe and be kind.